Maggie: That was a warning shot they fired at you. 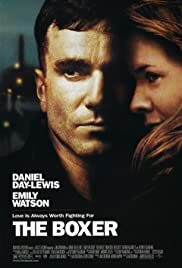 Published by B. FELDMAN & CO. LTD.
Daniel Day-Lewis plays a former IRA man released from prison for a bombing that took place years ago. While out and about, he tries to put his life back together by opening up a gym open to everyone regardless of their religious beliefs and rekindles an old romance with Emily Watson, even though she's got a kid and her husband, one of Day-Lewis's former fellow IRA mates, is still in jail. Naturally, the IRA starts making life rough for Day-Lewis, but he refuses to back down and be intimidated in the face of adversity. Sure it may not dig as deeply on uncomfortable subjects the way "My Left Foot", "In The Name of the Father" or even "The Last of the Mohicans", but this is still a damn fine film addressing a still current problem in Ireland. 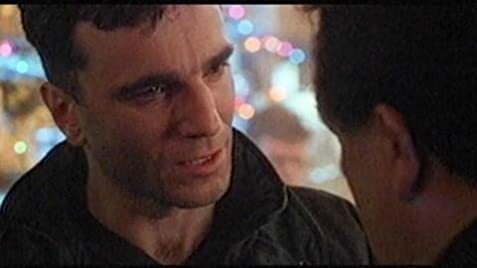 Daniel Day-Lewis and Emily Watson are a great pair and their chemistry helps keep the film aloft.